The Dingle Peninsula is one of the Gaeltacht areas of Ireland, where the Irish language is spoken every day in various pockets of the area, and where traditional culture is best preserved. It offers miles of sandy beaches, soaring mountains, narrow country roads lined with golden gorse and flowering red fuchsia, nature and beauty in abundance. The scenery in this area is dramatic and beautiful, and includes miles of the finest beaches and mountain trails with unsurpassed views of the north Atlantic and rugged off-shore islands. 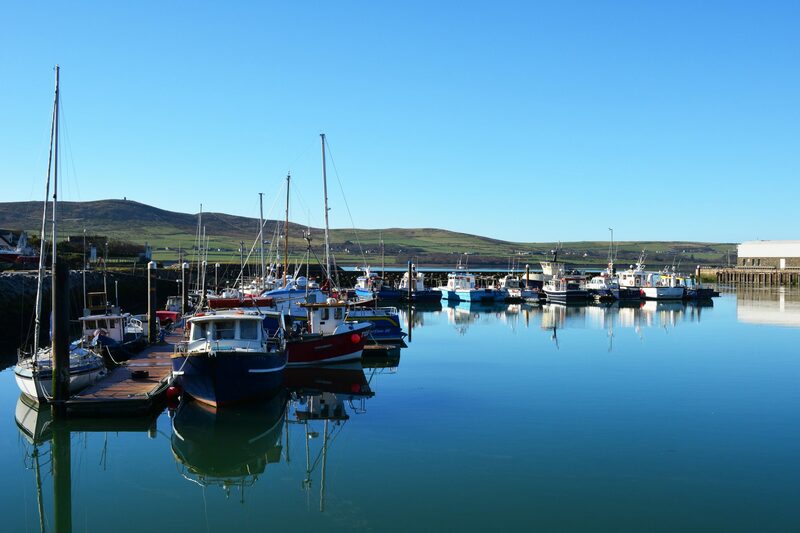 We have taken the time to put together a list of things to do and see while you are in Dingle. If you should have any questions about any of these things, or about the Dingle and the surrounding area, please email them to us and we will do our best to answer all of them. Dingle Horse Riding was founded in 1989 as a small, family-run business based in Dun Quin on the Dingle Peninsula. The idea was to cater to those people who wanted to see the area other than by car, bus, bicycle, or on foot by offering adventurous rides through the magnificent Irish countryside. All levels are accommodated, and there are a variety of trek types to choose from. This contemporary art gallery shows an excellent selection of paintings and sculpture from Ireland and abroad. There are new exhibitions throughout the year showcasing artwork inspired by the surrounding area. There are very few places in the world that can startle the eye with beauty. Fewer places again can provide a mixture and variety of nature and beauty to invigorate the soul. The Dingle Peninsula is one of those places. Take a drive along the Slea Head Road and see for yourself! Irish shore angling is among the best in Europe. Almost every type of shore fishing may be done for a very wide range of species throughout the year. Deep see angling off the coast of the Dingle Peninsula is also very popular and is some of the best in Ireland. The Dingle Peninsula boasts some of the most challenging golfing in Kerry. There are two excellent links courses on the peninsula, both of which have beautiful sea views. No other area in Ireland offers the variety and quality of walking trails and routes as the Dingle Peninsula. There are routes that will take you up and down mountains and hills, along beaches and strands, and across seaside cliffs. All walks in the area will give you the time to enjoy the awesome beauty of the area. In 1984, a young bottle-nosed dolphin started to appear at the mouth of Dingle Harbour. The now world-famous dolphin has remained in Dingle since, and has become both a friend to the locals and a great “attraction” for visitors. The Peninsula, with it’s many beaches, strands and piers is the ideal playground for the water-sport enthusiast, and has played host to a selection of windsurfing, surfing and sailing competitions.